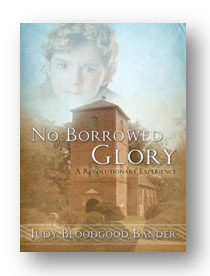 Donna Fontaine, 4th grade teacher at Westside Elementary School, Isle of Wight County Schools recommends No Borrowed Glory by Judy Bloodgood Bander for a look at life in eastern Virginia during the American Revolution. It focuses on the struggles of 13-year old Nathaniel Chiles. No Borrowed Glory is a historical novel set in Smithfield and Isle of Wight County during the American Revolution when General Lord Cornwallis was marching through Virginia on his way to Yorktown…. This book made real connections for my students and parents and we have rediscovered special places in our hometown. The author’s extensive research is very evident in her book. 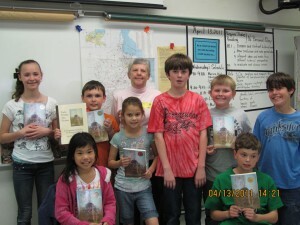 In April 2011, local historian, Mr. Albert Burckart, and local author, Mrs. Judy Bander, visited our class. We had been learning about the Revolutionary War in our Virginia Studies and the students had read her book. During the classroom visits, Mr. Albert Burckhart was dressed as Josiah Parker, a character in the book. 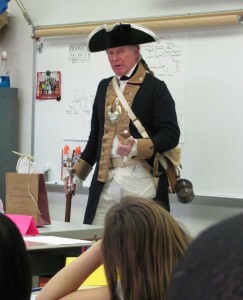 He discussed with the students the Revolutionary War activities that took place in Isle of Wight. Mrs. Judy Bander, the author of No Borrowed Glory, spoke to the students about her book and her extensive research. This experience made connections with our history, reading and writing. 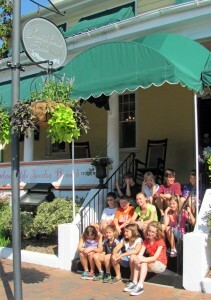 In June, we were approved for a special field trip. 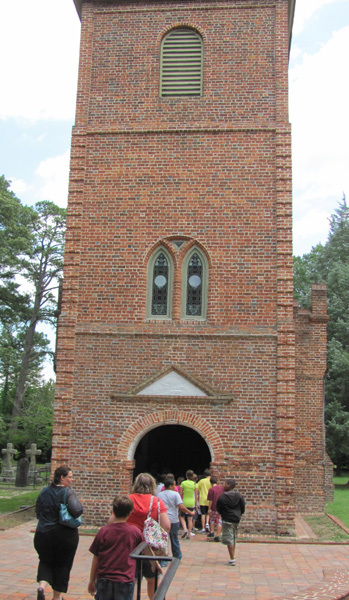 We followed Nathaniel’s journey from the Tavern (Smithfield Inn), to the Old Courthouse, Fort Boykins, and St. Luke’s Church (the Old Brick Church). 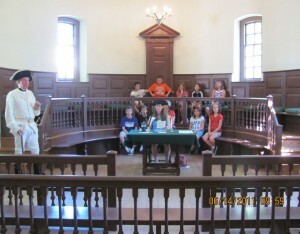 At the Old Courthouse, Mr. Burckart did a mock trial, using the students and parents as judge, jury, perpetrators, etc. 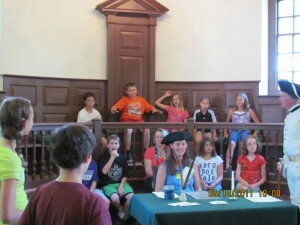 He was dressed as the 1770′s sheriff and conducted the trial. 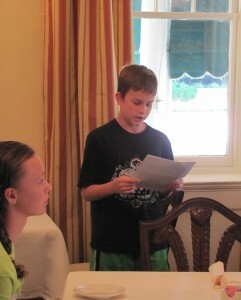 At the Tavern (Smithfield Inn), students participated in a mini play using text from the chapter, Wednesday Night at the Tavern, from No Borrowed Glory that told of Jack Jouett’s ride. 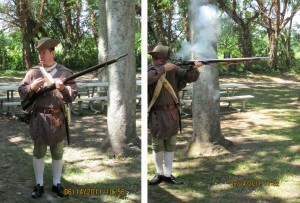 At Ft. Boykins, David Adams (Smithfield PD, and an historic interpreter) demonstrated the shooting of a Revolutionary musket. 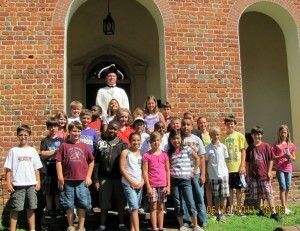 At St. Luke’s, a docent gave the kids a mini-tour and related the site to the book. Students and parents found the book, classroom visits, and field trip exciting. The total experience was educational and made history come alive.